According to current industry data, average concrete prices are around $108 per cubic yard. Actual pricing differs by region, so it is best to get a quote from a local ready mix company when budgeting your project. 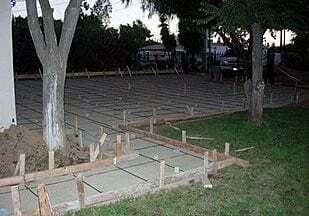 If you're looking for a price per square foot, it works out to be between $3.50 and $5.50 to have plain concrete poured. View the nine basic steps involved in pouring concrete. Use our concrete calculator to calculate slab and footing pours. Concrete makes up the majority of the cost of a concrete project. Prices vary by region, to get a more accurate estimate contact your local Ready-Mix supplier. 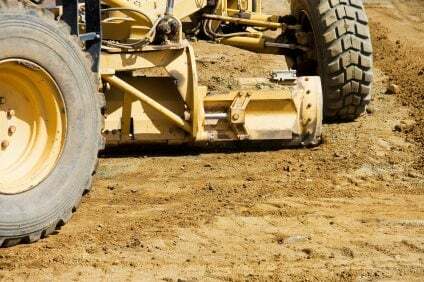 Cost will vary depending on the amount of dirt you need to move. 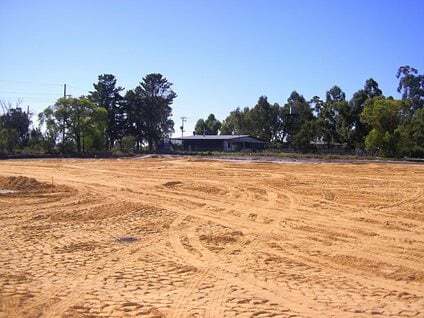 Hourly rates apply for a tractor and operator. Cost for gravel or sand delivered to the job site. Read about subgrades and subbases here. Labor is the biggest cost for concrete forms. Setting up concrete forms and finishing concrete is backbreaking work. More about concrete forming supplies. Reinforcement is required because all concrete cracks, so if you want your cracks to remain small, you'll need reinforcement. Wire mesh, re-bar, plastic mesh, and fiber in the mix are all commonly used materials. 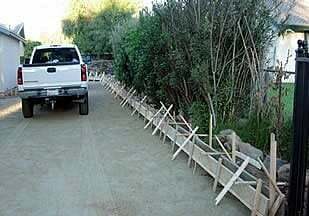 What is my price for concrete? You can get a rough estimate for your project using the above figures. Remember this cost estimate is for "plain" concrete. Decorative options such as stamping (see stamped concrete cost), staining (see stained concrete cost), and special finishes will add significantly to the cost of the project. 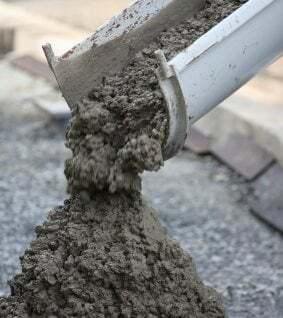 For plain concrete, you can expect your price to fall somewhere between $3.50 and $5.50 square foot depending on the project size and complexity. Get a quote from a professional, they can often do the project at or below your cost due to economies of scale and access to the proper equipment. Find local concrete contractors here to request a quote. In considering price, think first about getting the quality and service you want. Concrete done correctly will last for years-so saving a dollar or two per square foot will not be money saved in the long run if the job is not right.